Sustainability Consult participated in a live webcast conference on the European Commission’s 'Eco-Innovation Action Plan' on Wednesday 26 September. 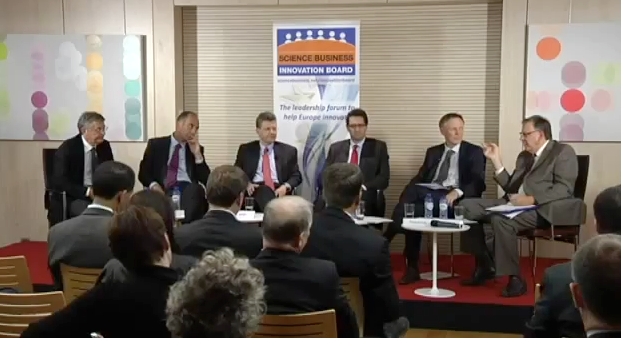 Taking place at the Mission of Norway to the EU, the event was organised by the Science|Business Innovation Board and featured Environment Commissioner Janez Potočnik on the panel. The Eco-Innovation plan aims to contribute to the implementation of the Environmental Technologies Action Plan (ETAP), boosting environmental technologies and promoting economic growth and competitiveness. The panel agreed that investment in SMEs plays a major role in all green sectors of the economy. The focus should not only be on recycling, but also on other matters such as air quality, stressed Commissioner Potočnik. The high-level panel members, drawn from industry, academia and government, all agreed that integrated approaches and stakeholder collaboration are both key to success. Citing the co-management of the electrical grid done by Nordic countries, BP’s Group Head of Research and Technology David Eyton pointed to existing examples of good cooperation, but stressed that more are necessary, saying some changes do take time, sometimes decades, so it's urgent to start planning ahead now. The surprisingly passionate debate on the prospects for Europe’s ‘Green Economy’ reached a unanimous conclusion: one way or another, shifts simply have to be done, as not changing the economy will be more costly than investing in eco-innovation. A virtual audience followed the debate online and through Twitter as the panel fielded questions about how to engage the public on water issues and how the EU budget is allocated in favour of innovation. The streaming of the conference is available for viewing here.